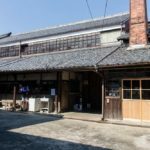 Gensaka Sake Brewing Co., Ltd.
Our company, Gensaka Sake Brewing was founded at its present location as a sake brewery in 1805, toward the end of Japan’s Edo Period. 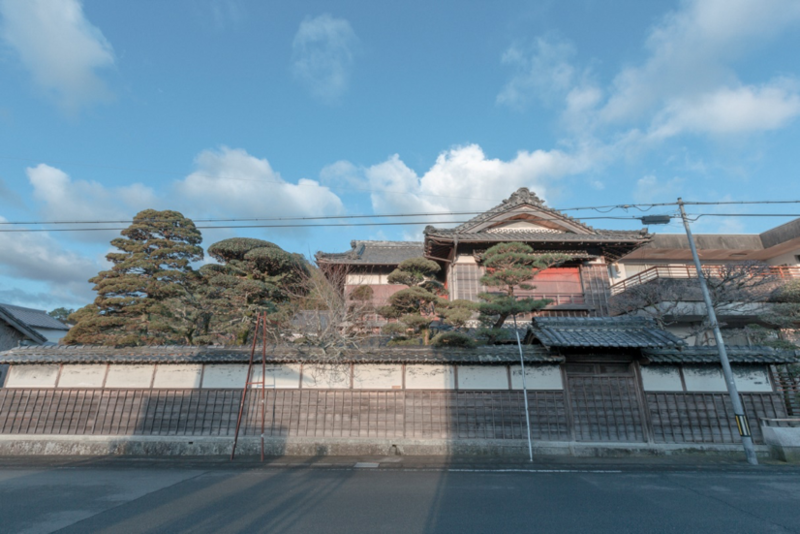 It was at around this time that the cartographer Tadataka Ino set out on his journey to survey the entire country in order to produce a map of Japan. 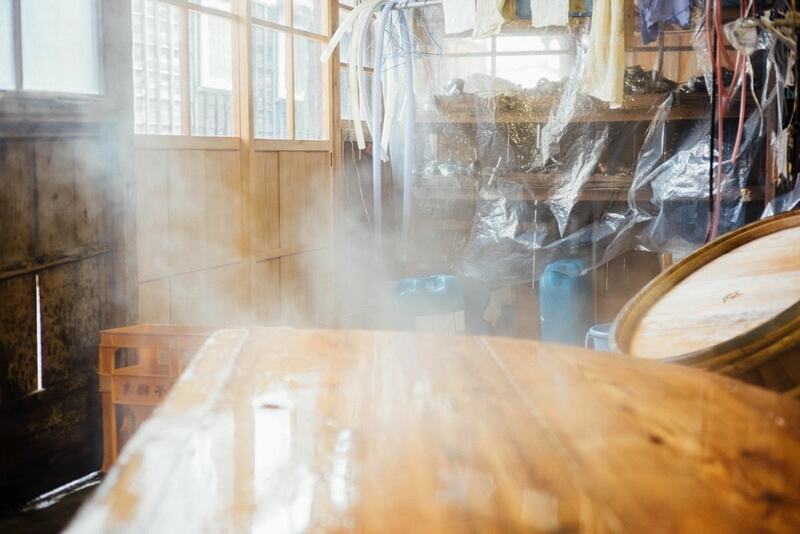 Since then, the business has remained in the family, and the current company president, Arata Gensaka, represents the sixth generation to lead the firm. 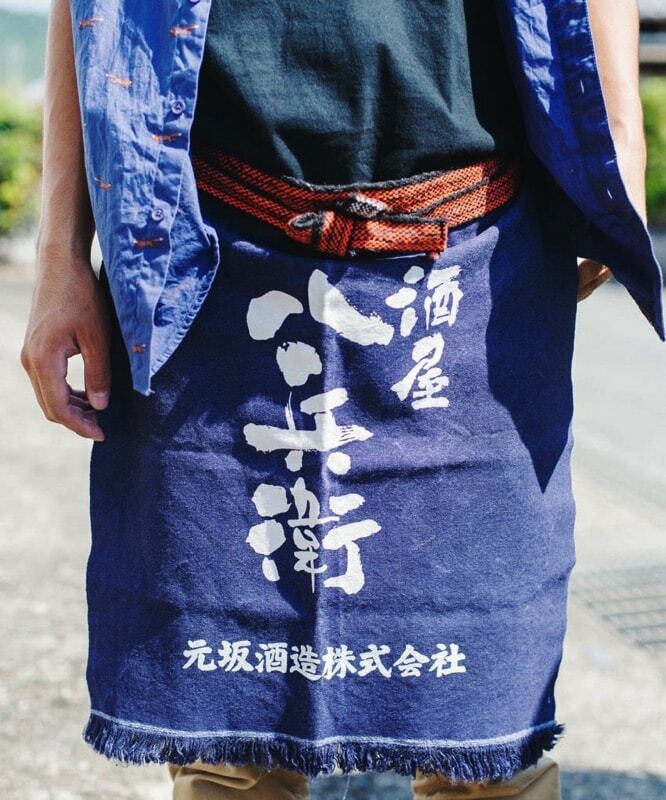 The company’s most famous brand, “Sakaya Hachibei,” takes its name from Hachibei Gensaka, the firm’s founder. 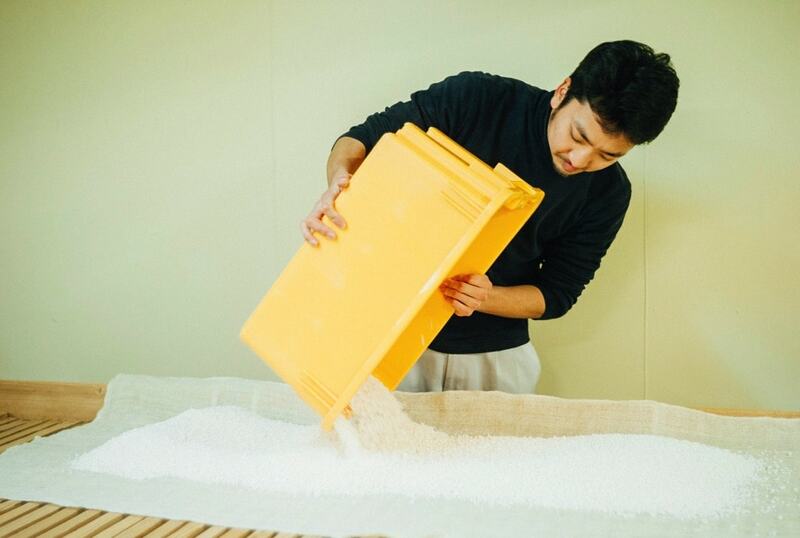 Most of the rice used to brew this sake is grown locally in Mie Prefecture, where the company is based. 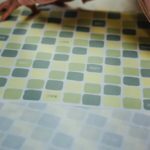 The company is committed to supporting local agriculture through its procurement of ingredients, with the hope that the land and scenery will remain as they are today for future generations to enjoy. 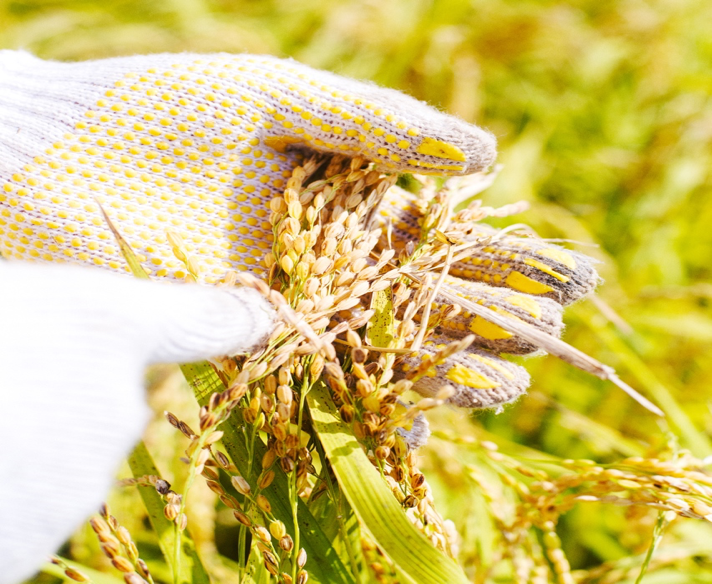 For this reason, the only rice varieties from outside Mie Prefecture that the company uses are Gohyakumangoku rice from Nanto, Toyama Prefecture and Omachi rice from Okayama Prefecture. 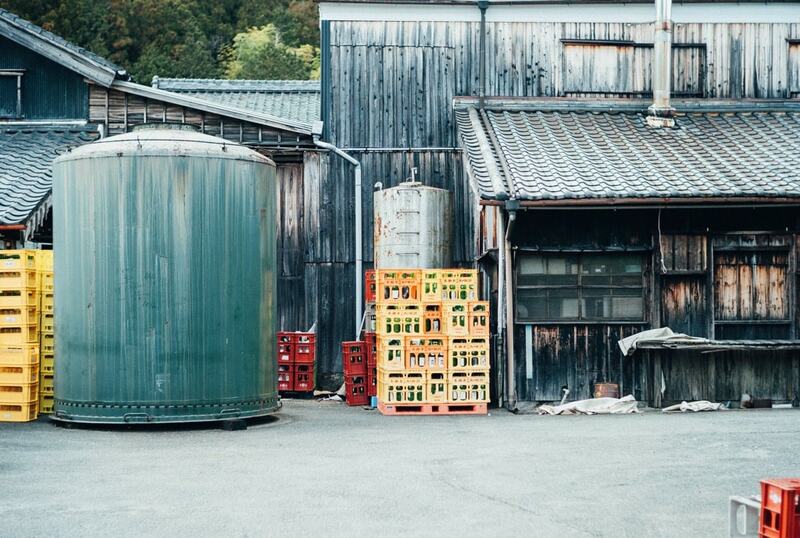 Around 60% of company’s sake is sold within Mie Prefecture. 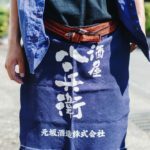 It is not only available at restaurants and bars, but also at hotels and souvenir shops in areas that are popular with tourists, such as Ise-Shima, which was the location for the 2016 G7 Summit. 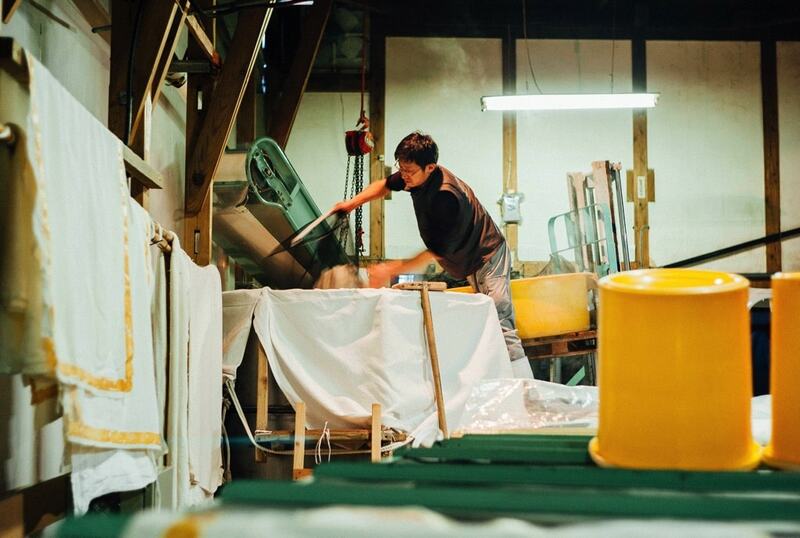 The remaining 40% is distributed outside Mie by shops that specialize in craft sakes. 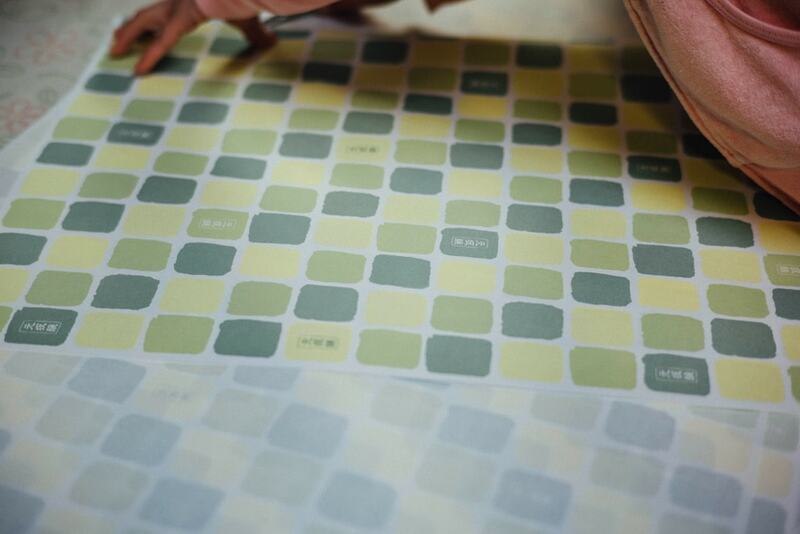 Annual production currently stands at around 900 koku (approx. 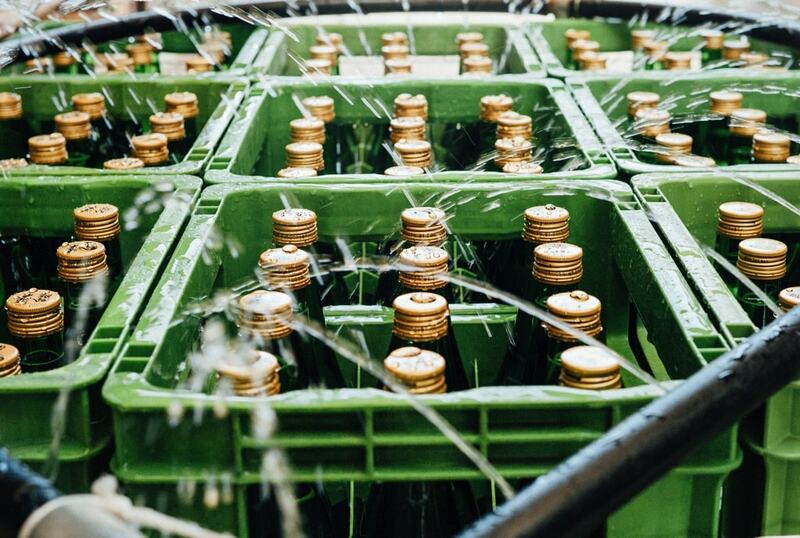 162,351 liters). 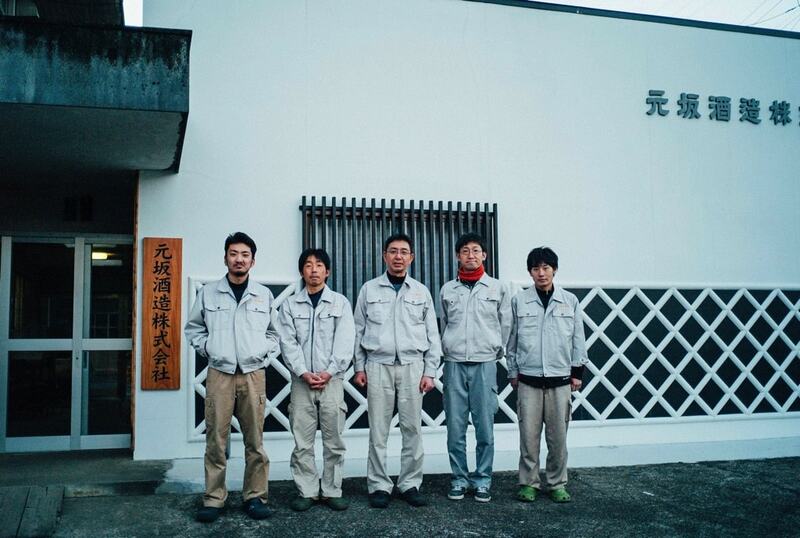 A total of five people are engaged in sake brewing: company president Arata Gensaka, managing director Shinpei Gensaka, and three full-time employees. 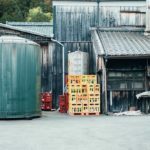 If other personnel, such as staff in charge of the shipment of sake, are also included, the company has 10 people altogether. 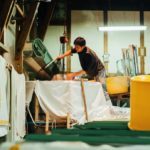 Even though the headcount is small and the firm’s facilities are limited, the company endeavors to be as innovative as possible in improving the quality of its sake. 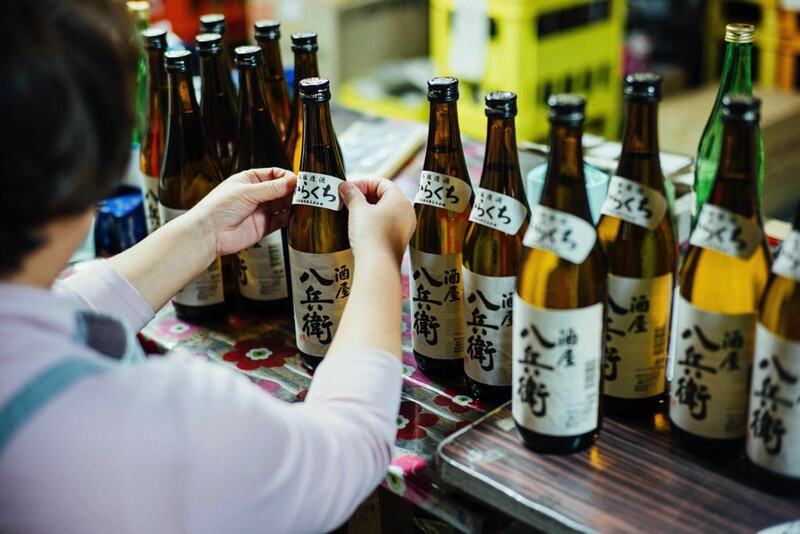 Sakaya Hachibei is designed to be an evening drink that you can enjoy every day and never get tired of. 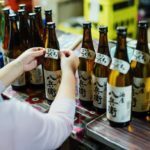 The product concept is “an entire night of relaxation rather than just a single glass,” and the company places importance on the sake’s role as a meal accompaniment that goes well with food. 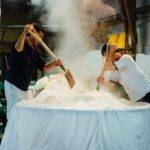 The florid flavor of ginjoushu [a type of sake brewed by low temperature fermentation from white rice milled to 60%] is kept to a minimum. 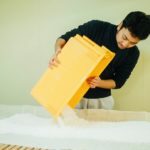 Instead, Sakaya Hachibei is a beverage that allows drinkers to fully savor the umami [the fifth Japanese category of taste, corresponding to the flavor of glutamates] of rice and imbibe for long periods of time. 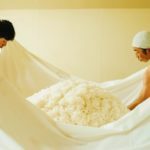 What’s needed to achieve this are techniques for directly expressing the natural flavor of rice and the use of superior rice as ingredients. 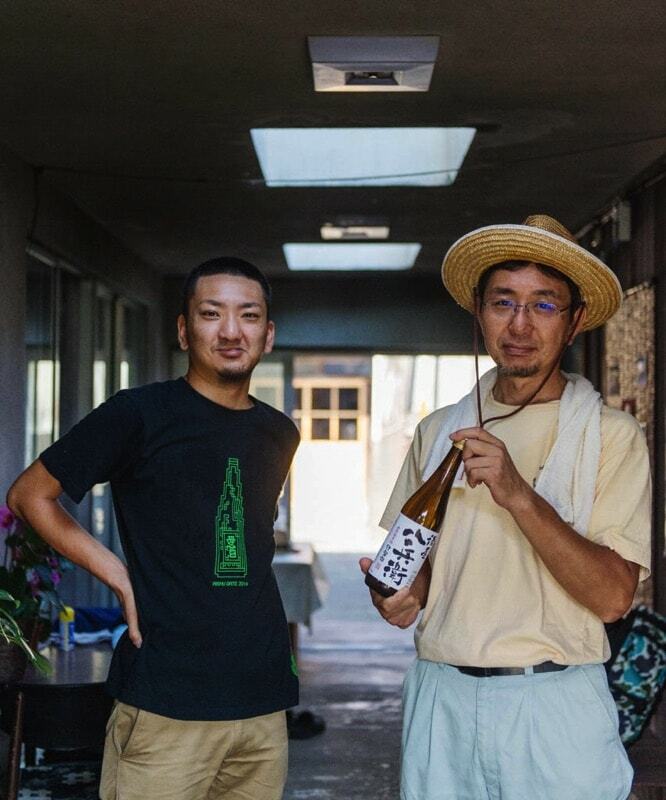 That is why the company is grateful for the gifts of nature and brews sake in an uncompromising fashion. 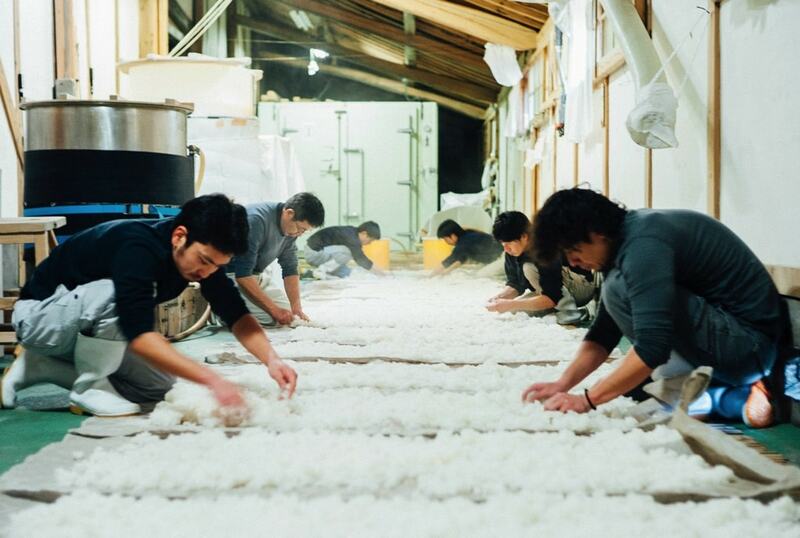 The company’s sake brewing process involves the proper fermentation of powerful yeast. 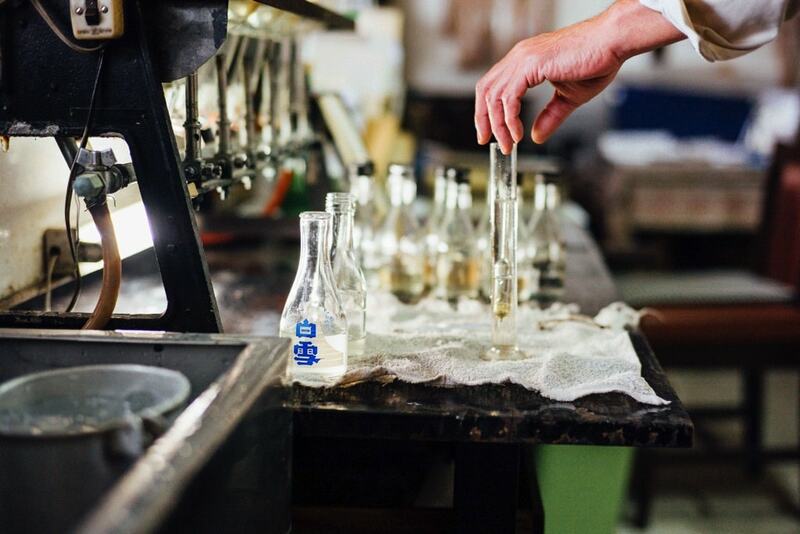 The company pursues “complete fermentation” to draw out the umami of the rice from unrefined sake to produce a style of sake that has complex flavors yet remains sharp. 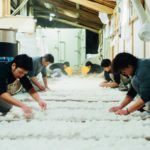 Yamahaimoto [sake brewing using natural yeast and no mashing] is a traditional production technique that has been in use since the Meiji Period. 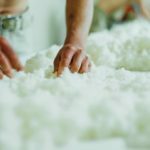 It involves adding and activating a variety of microorganisms to create a pure culture medium for Saccharomyces cerevisiae. 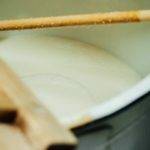 This is a painstaking process that takes twice as long to perform as the sokujomoto [fast brewing] method normally used today, but it results in a sturdy yeast fungus with strong alcohol resistance. 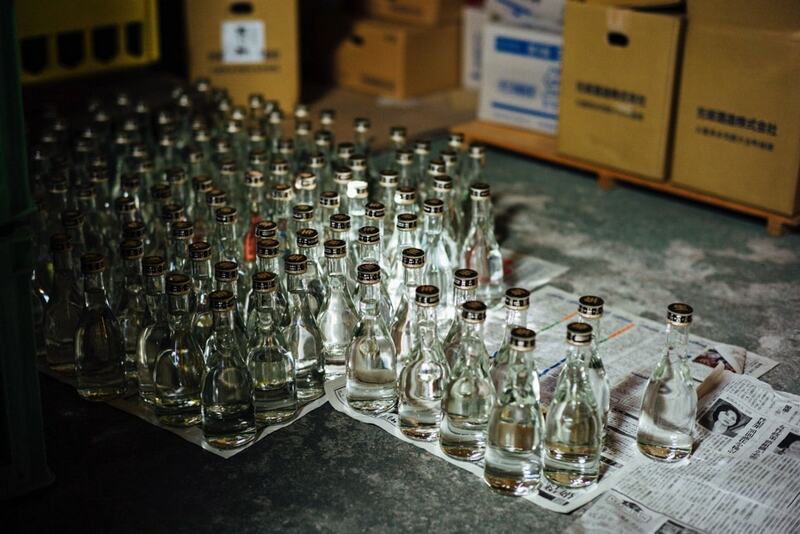 Each year, the company employs this yamahaimoto method to prepare several bottles, and as mentioned earlier, endeavors to nurture strong yeast fungus that has powerful fermentation capabilities and doesn’t die off easily. 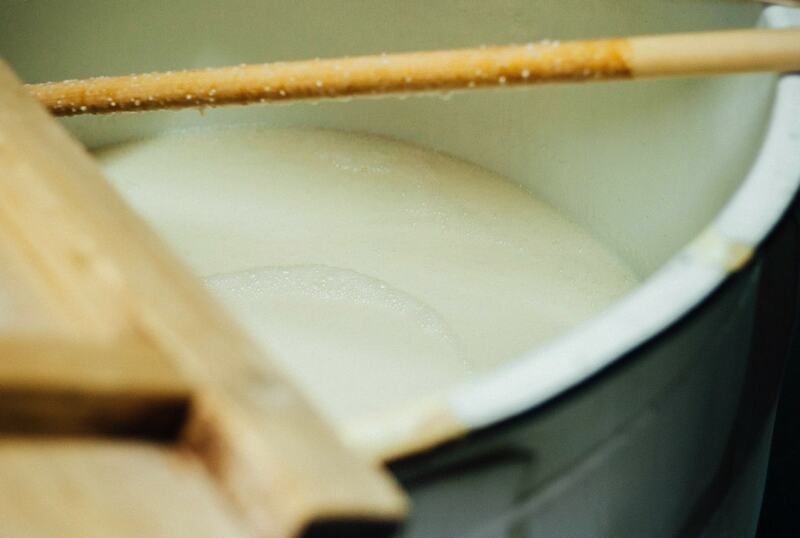 The image in the market of sake produced using the yamahaimoto technique is that it is highly acidic and has a strong flavor, yet the fact that the yeast is difficult to destroy means that amino acid generation is low. In short, it results in a mild flavor. 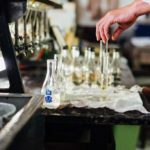 The company is focused on producing an evening drink that you never get sick of and never get tired of. 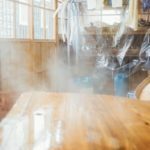 Enjoying sake with food makes for a relaxing time that eases day-to-day stress and provides energy for tomorrow’s exertions, and the firm brews sake with the goal of being able to provide that kind of value. 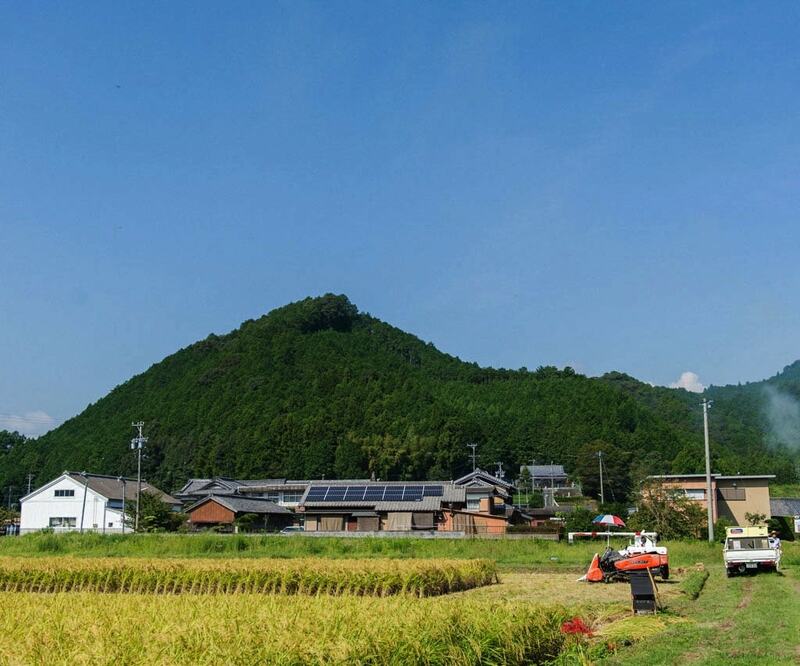 The Odaicho district of Mie Prefecture boasts abundant nature, and has even been designated as an Eco Park by UNESCO. 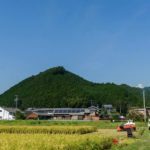 There are numerous mountains, the highest of which is Mount Odaigahara, as well as the Miyagawa River, which has the clearest water of any waterway in Japan. 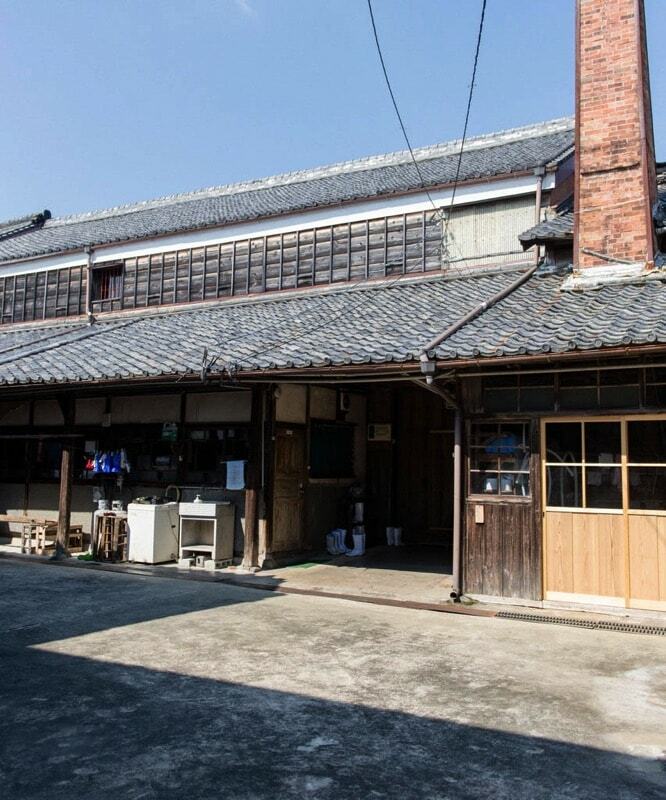 The Sakakibara area, where the company is located, is situated on the fluvial terrace of the central stretch of the Miyagawa River, and this geography has been taken advantage of to construct numerous small terraced rice fields. 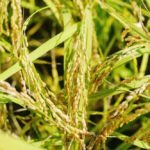 In the company’s field, which can be viewed from the storehouse, the firm has resumed the cultivation of “Isenishiki,” Japan’s oldest variety of sake rice, and one that had previously been extinct. 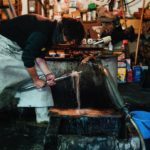 Isenishiki was discovered in what used to be the village of Seiwa (now Takicho, Mie Prefecture), and pilgrimages to Ise Grand Shrine, Japan’s most sacred shrine, led to its cultivation throughout the country. 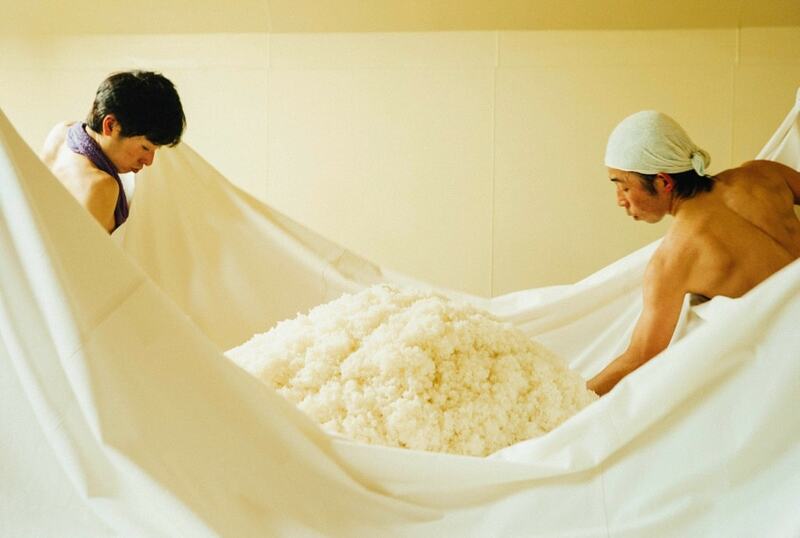 It is also said to be an ancestor of the “Yamadanishiki” variety, currently the most popular type of sake rice. 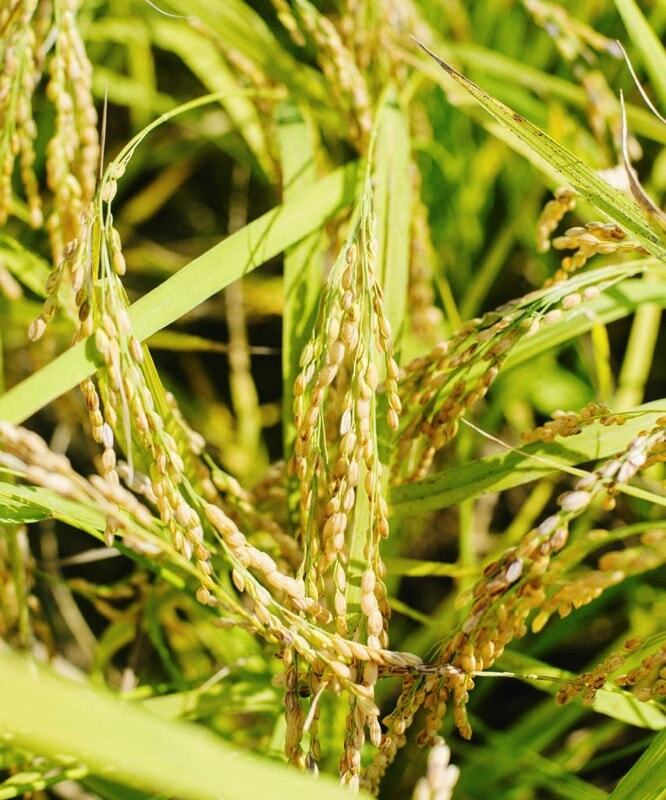 Unlike today’s main rice varieties, for which certain cultivation attributes have been achieved through selective breeding, Isenishiki, which has hardly changed from its pure original form, grows tall and is apt to fall down. 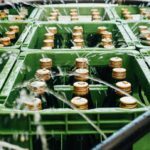 Nevertheless, around 20 years of trial and error has resulted in production of approximately 15 tons per year, some of which is grown by farmers the company has concluded contracts with. 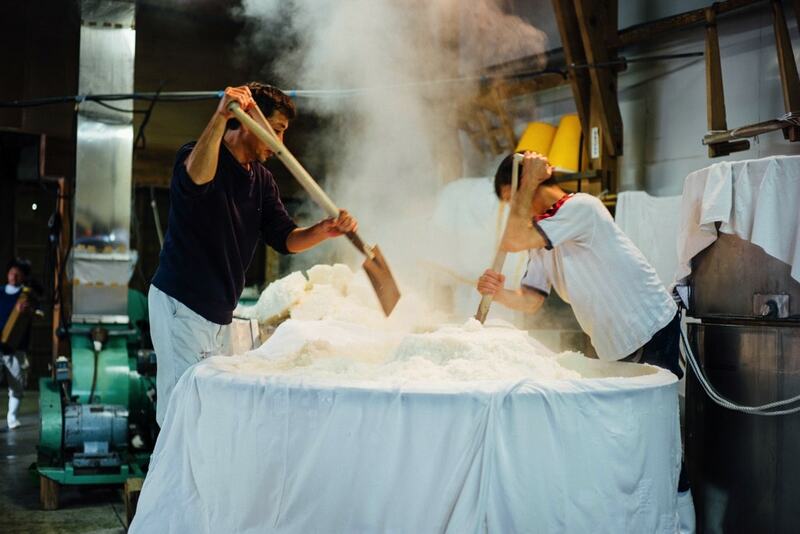 This corresponds to around 15-20% of the rice used for one season of sake brewing, and the company offers three products that are made from the rice. 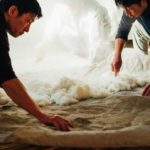 At the working lunch held on the first day of the Ise-Shima Summit, which took place in the early summer of 2016, a pure (i.e. 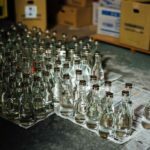 containing no added alcohol or sugar) Sakaya Hachibei-branded sake made from Isenishiki rice and brewed by the yamahaimoto method was served as an accompaniment to the meal. 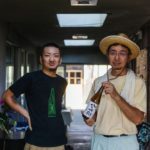 We were delighted that this sake, which embodies all the ideas we have carefully developed over many years—namely Isenishiki rice, the yamahaimoto brewing method, and the “meal-accompanying sake” concept—could be enjoyed in this way by a wider audience. 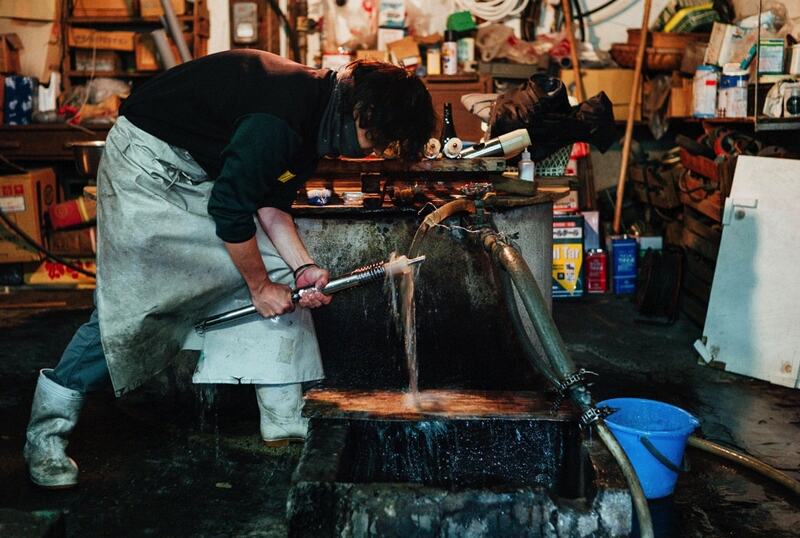 This land, which provides the company’s field and source of water and lies amid the vast nature of the eastern side of the Kii Peninsula, with its abundant rainfall, constitutes a unique terroir (i.e. 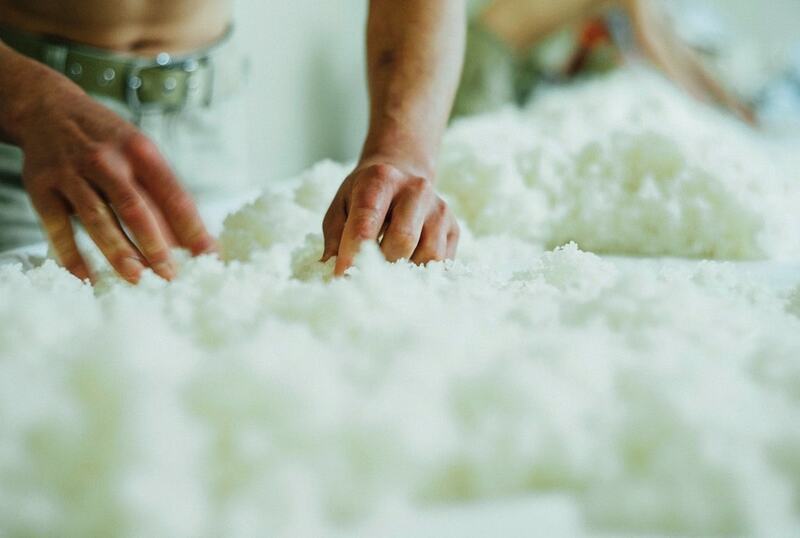 the entire natural environment surrounding sake) that the company can take pride in worldwide, and we believe that the sake brewed from the rice grown here could not be replicated anywhere else. 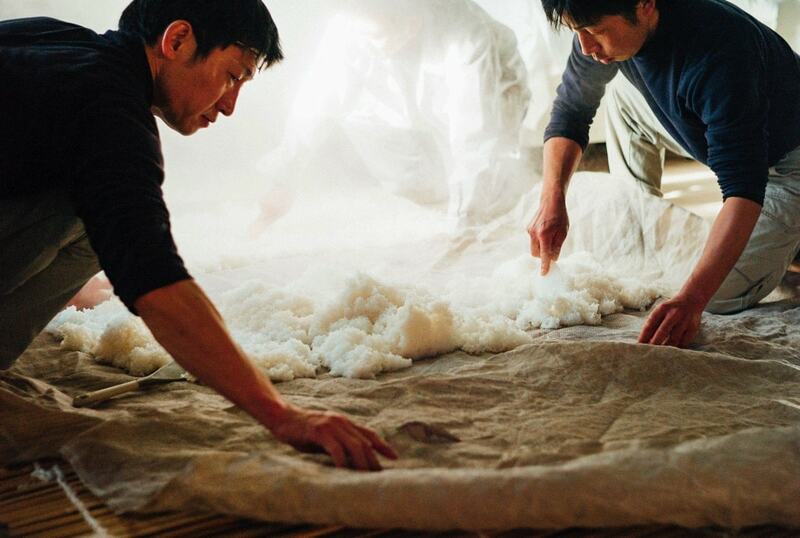 We hope that one day Japanese sake fans from all over the world will feel compelled to visit us. 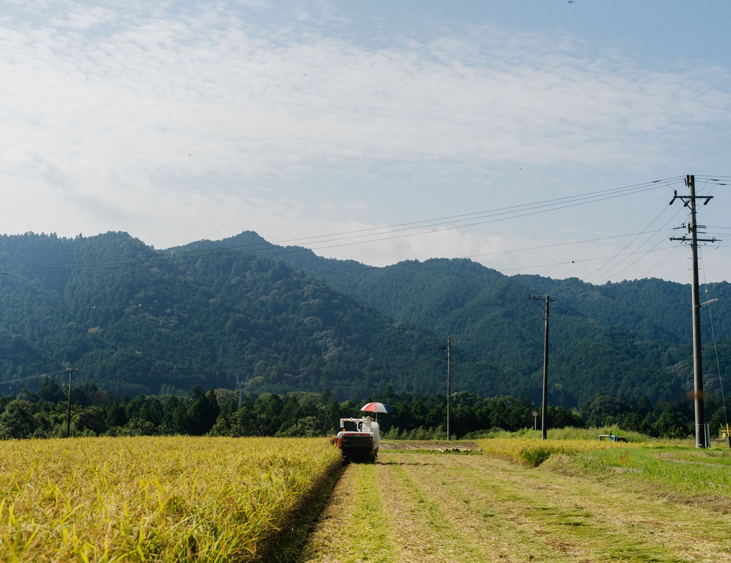 And by brewing sake from rice that fully evokes the climate and natural features of Odaicho in Mie Prefecture, we also hope that this beautiful scenery will survive for the next 100 years. This is our vision for the future. 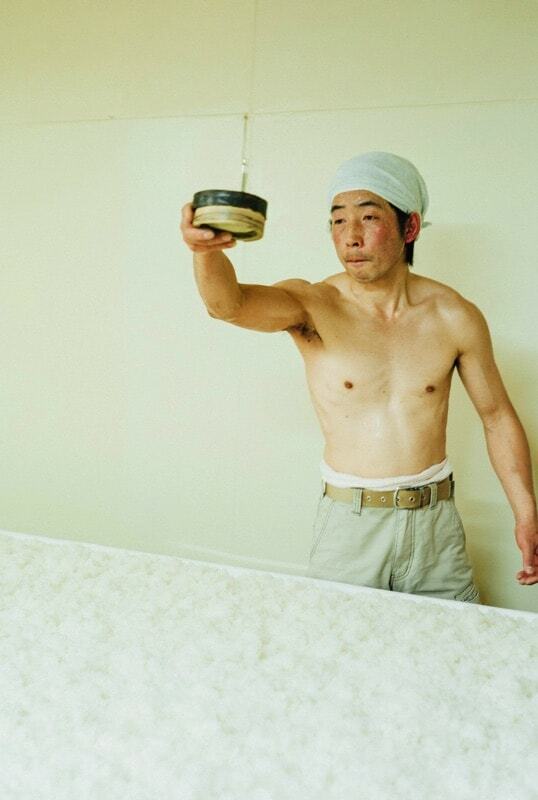 © GENSAKASYUZOU. All Rights Reserved.